Join us to CELEBRATE the Grand Opening of Kindermusik With Friends new music studio location for 0-6.5 year olds at 1351 Park Road in Chanhassen on Sunday, August 26th, 4-6pm. Join us at 4pm for tours of our brand new studio spaces, meet our fabulous teachers, attend a 10 minute demo classes running every 20 minutes, raffle for free Spring Tuition, face painting, popcorn & lemonade bar, ice cream truck, explore instruments in our instrument petting zoo and stay for a 45 minute outdoor performance by THE TEDDY BEAR BAND at 5pm! Bring lawn chairs, blankets & teddy bears to enjoy! 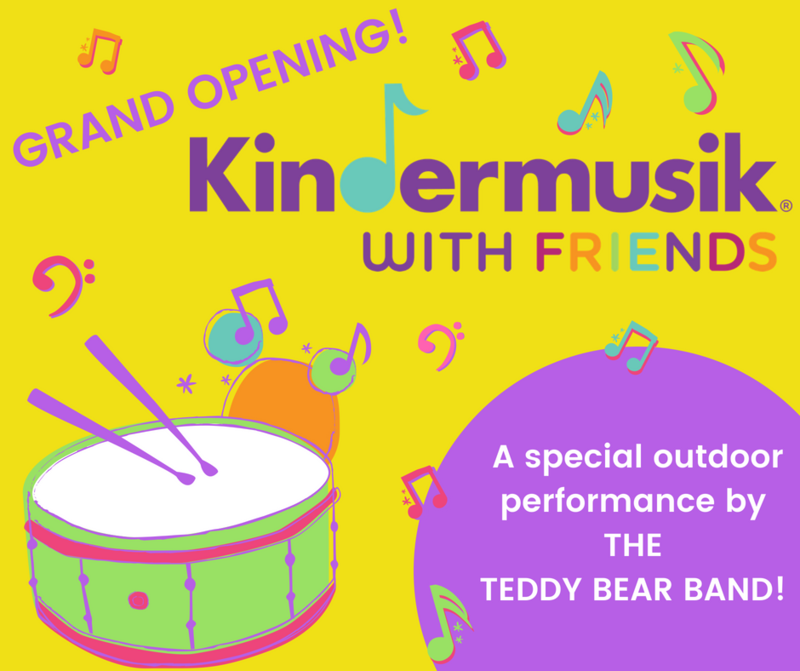 Find out more about Kindermusik With Friends HERE and The Teddy Bear Band HERE!